The themes of shared stories, loss, change and kinship in this interactive production taps in to children’s capacity to empathise and links well with Health and Wellbeing and Religious and Moral Education. I know that friendship, caring, sharing, fairness and love are important in building positive relationships. As I develop I care and show respect or myself and others. I can show my understanding of values such as caring, sharing, fairness, equality and love. Seating: Promenade performance with floor and chair seating at times. Note: Late comers will not be admitted. The show is not suitable for children under five. Babies and toddlers will not be admitted. Children are offered a biscuit (wheat product). Extended three-week run: 14 May-2 June! In this magical, immersive and interactive experience, Bella invites you to join Nanny Lacey in her flat and explore the tiny worlds she has created. Punchdrunk (Sleep No More) has pioneered a game changing form of theatre in which roaming audiences experience storytelling inside sensory theatrical worlds. Developing work for schools and communities alongside major productions around the globe, this will be their Scottish debut, presented over a special three-week season. 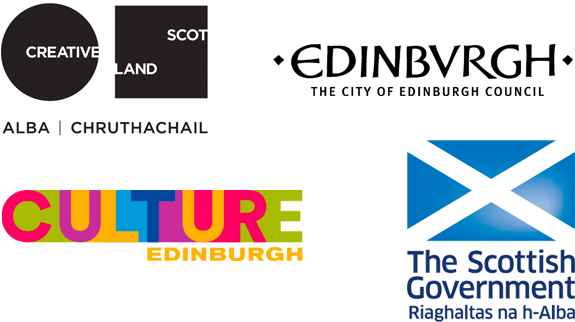 Supported by the PLACE programme, funded by the Scottish Government, the City of Edinburgh Council and the Edinburgh Festivals, and supported and administered by Creative Scotland. Small Wonders was commissioned by Punchdrunk, LIFT and Bernie Grant Arts Centre. Supported by Garfield Weston Foundation, the Ellis Campbell Foundation and the Small Wonders Giving Circle. Made in Tottenham with the support of Haringey Council.